I have another delicious recipe for you. 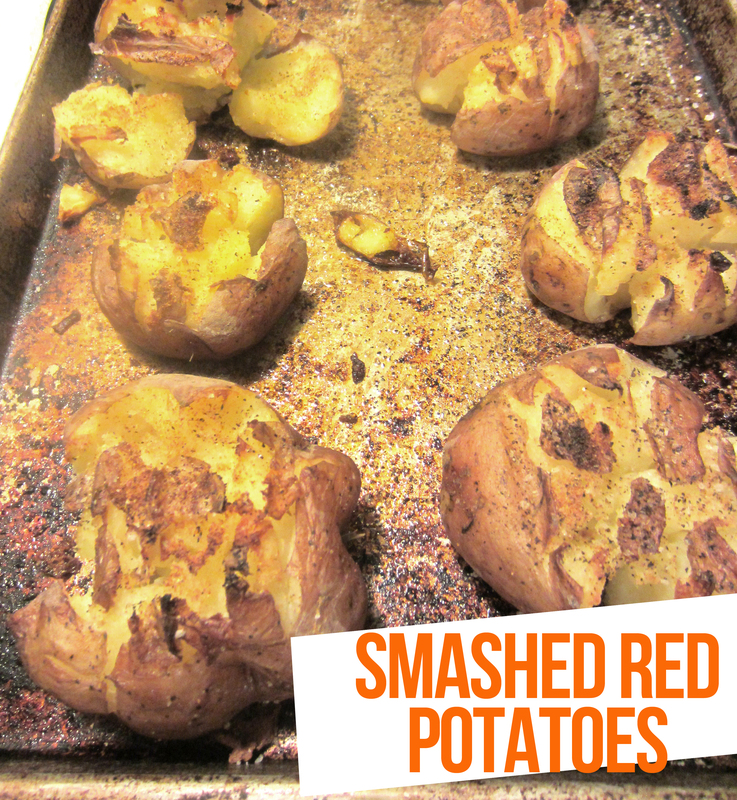 I call them Smashed Red Potatoes. They are a favorite of my mom’s; she asks me to make them often. She says that this is the only way that she will eat the skin of the potato. Of course I love them too. If you read my Facts About Me posts you would know that I love potatoes. I feen for them. So this is a perfect recipe for me. 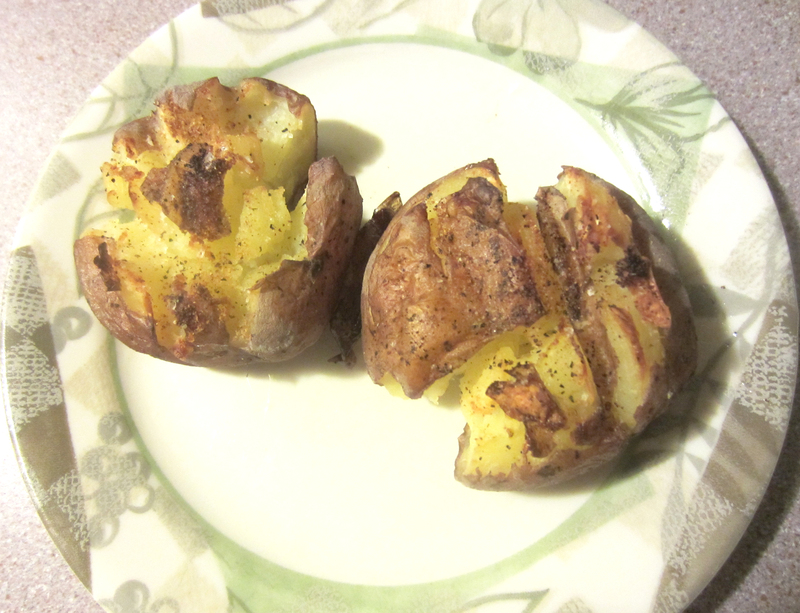 These potatoes are a great and simple side dish that pretty much goes with everything. This is another recipe adapted from The Pioneer Woman. She is so awesome. 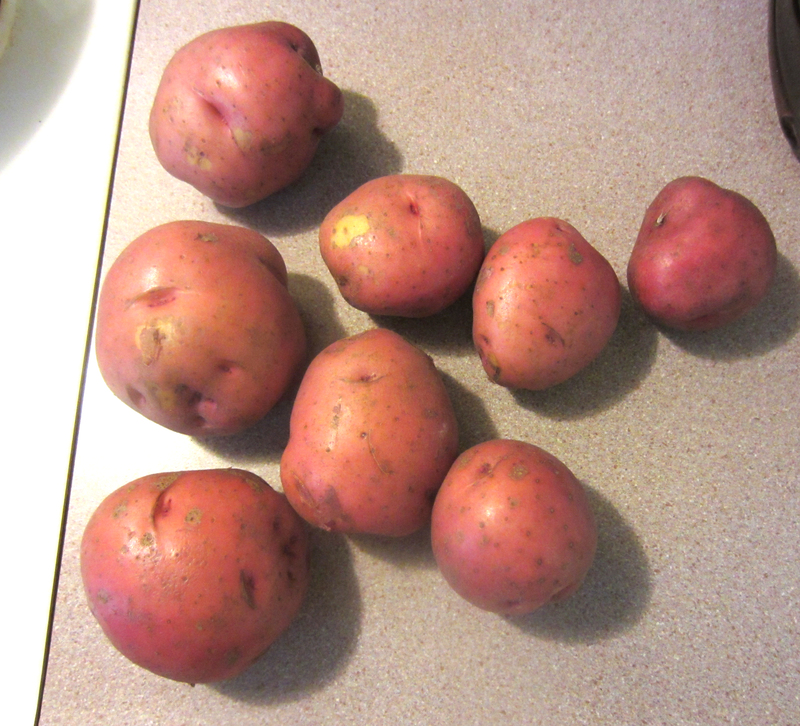 Red potatoes. 6-8 medium sized potatoes feeds the four of us. You can really use any type of potato you’d like. 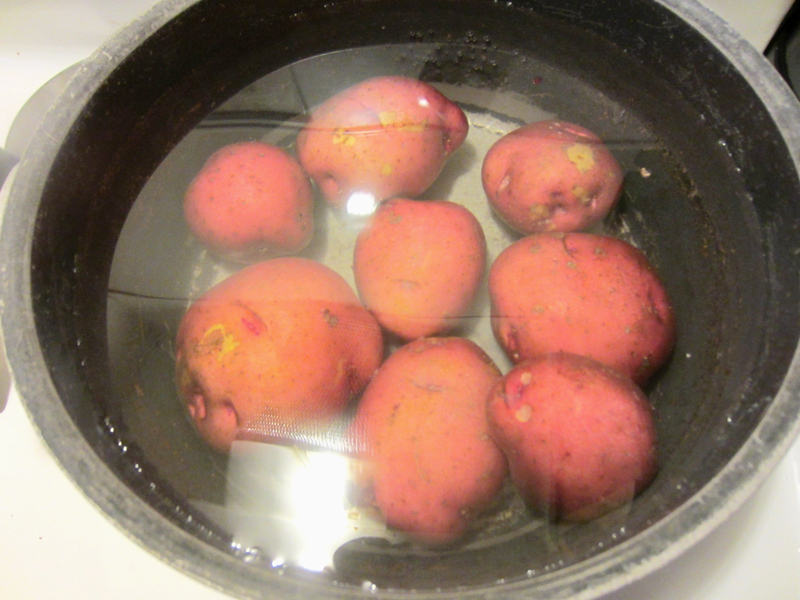 In a large pot, boil your potatoes in salted water until fork tender. Depending on the size, it takes about 30 mins but check regularly. I boil them to get them as tender as possible before baking. 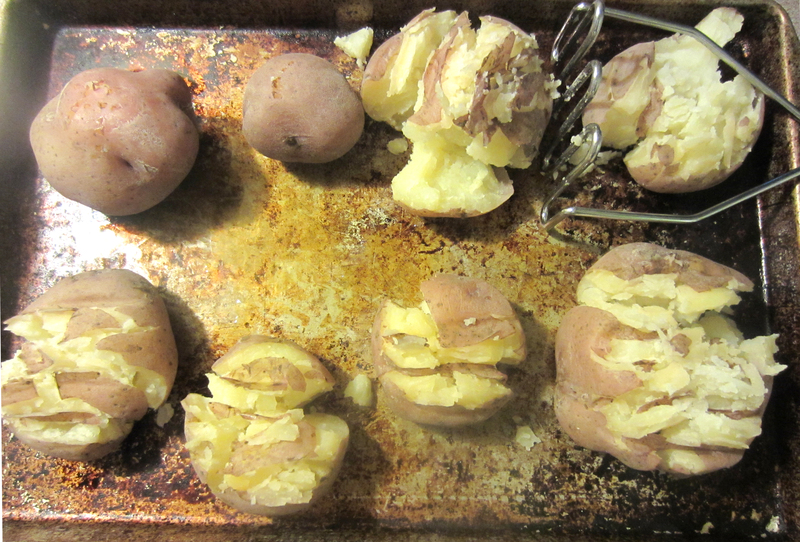 Once the potatoes are done, take a shallow baking pan and drizzle some oil on it. 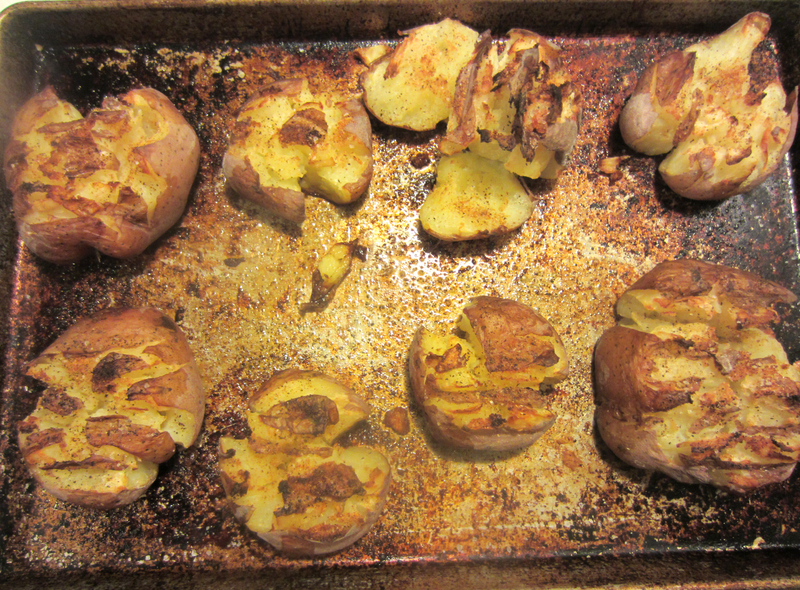 Place potatoes on pan (but be careful to not burn yourself since the potatoes will be very hot). Be sure not to put them too close to each other as you are going to need enough room to mash them. Use the masher to gently flatten the potato without fully mashing them. 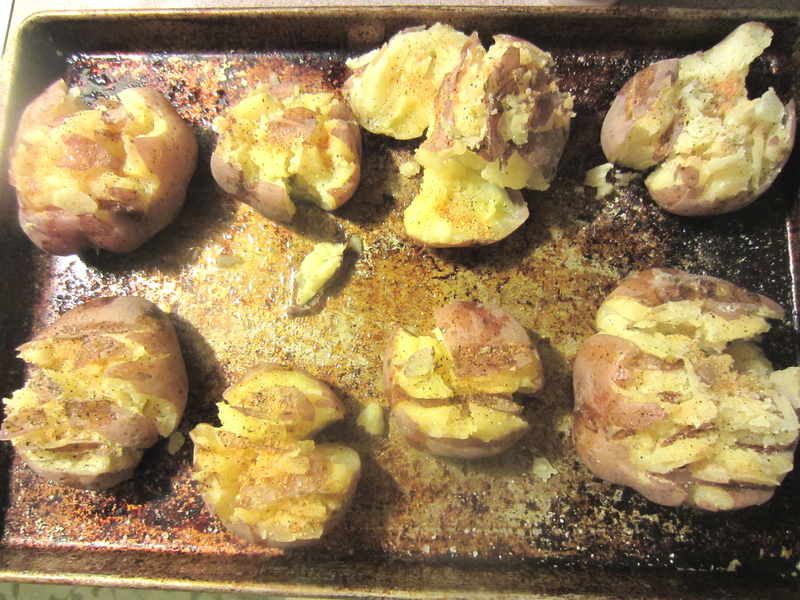 The potato should mostly still be in one piece. You can also use a glass or something else with a flat surface for this step. Next, season liberally with salt. I like to use coarse sea salt. I like the taste and the texture of the sea salt. It goes well with the potato, but you can use what you like. Now you can sprinkle on the pepper and garlic powder. I love garlic! 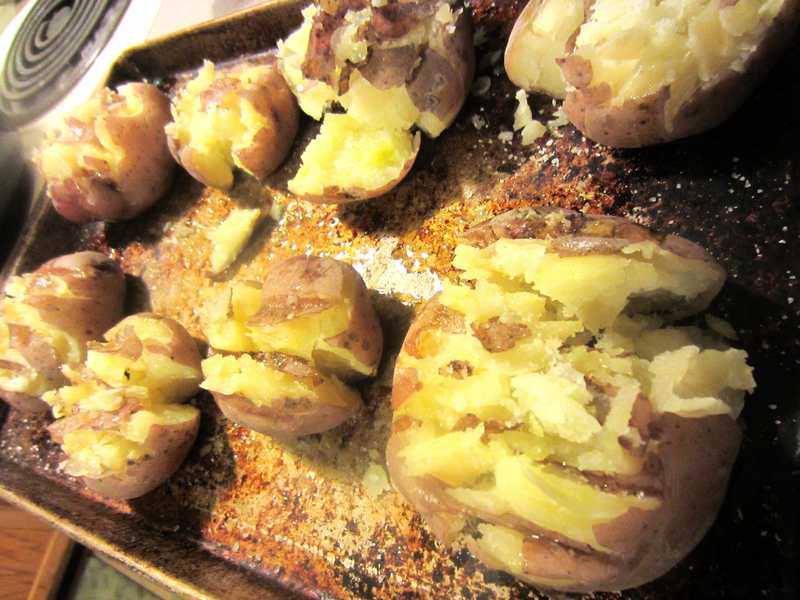 Now you can pop them in a 450 degree oven and bake for 20-25 minutes or until crispy. I wait until I see the edges start to blacken. That lets me know they are done. They are best eaten straight out of the oven. That’s it. I think I am going to be a baked good recipe next. So stay tuned for that. P.S. You can find me on various other social networks including Facebook, Pinterest and Instagram! All links are on the right sidebar. P.S.S. Could you take a minute to complete this survey? I want to continue to make the blog better for you and I can’t do that without your feedback. So tell me, what do you want to see? Thanks in advance!